Deep, brilliant scarlet garnet in color, one is immediately met with cassis, boysenberry and chocolate/bark on the nose. Soft on the tongue at once and then an emergence of spice ... even as the softness stays - with a syrah-like feel. Subtle undercurrants of fig continue on the nose, while a woody herbaceousness lingers on the palate. Lush, clean, stewed fruits appear as velvety notes of black licorice, blackberry, cranberry and bramble, coming through like a galaxy to a long finish. Love this one. And an amazing value ... at around $10.99. 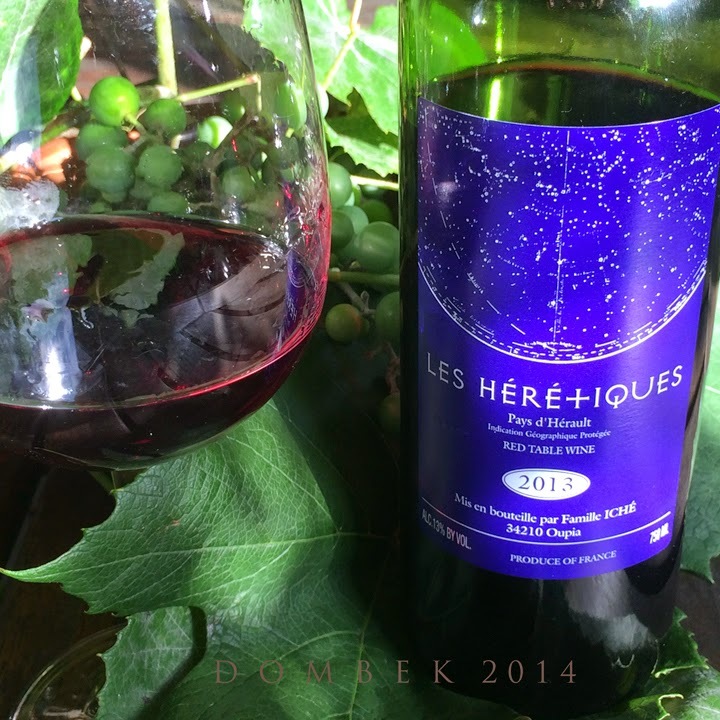 Located in the Minervois region in Languedoc southwestern France, this wine was made by Le Famille André Iché at the 13th century castle/large estate that was his inheritance. Tending his very old vines, he had always made his own wine but initially sold everything in bulk to local négociants. Further, taking pride in doing all the work himself he never joined the local co-op. However, around fifteen years ago a winemaker from Burgundy tasted Iché's wines par chance, while he was in Oupia. He was so moved by the wine that he convinced Iché to bottle and market production himself. The rest is history! His daughter Marie-Pierre presently runs the estate, as André passed away in 2007. Further, she has been working with oenologist Laurent Batlle since 2008, continuing to make wine in as he says, "André's way". Brought to us by LOUIS/DRESSNER SELECTIONS, imported by LDM Wines, New York, NY and locally through Devenish Wines, Portland, ME. Available in Greater Portland at Flock and Vine - Cape Elizabeth; Rosemont Market - Munjoy Hill & Commercial St; In Downeast Maine at Blue Hill Wine Shop - Blue Hill, Great Cranberry General Store, Great Cranberry Island, Wind and Wine - Bar Harbor. In Southern Maine at The Cheese Iron - Scarborough; Morning Glory Natural Foods - Brunswick; Vic and Whit's - Saco.